Custom carpentry is a favorite. This fir was harvested over 150 years ago, probably from the Bridger Mountains Bozeman for this custom frame. 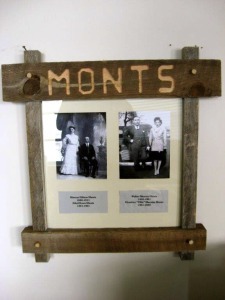 Bud Monts is a long time trusted, licensed, custom general contractor, and carpenter in Bozeman, Montana who welcomes challenging, custom projects. His attention to detail, and commitment to quality work are well known in the Gallatin Valley and the surrounding areas.